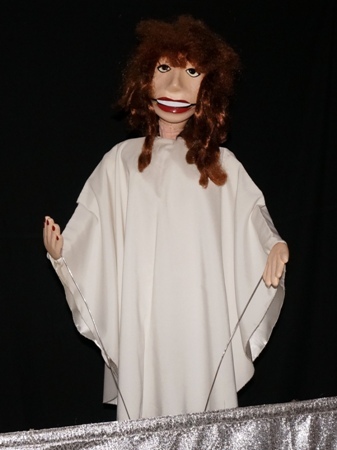 ALLA PUGACHEVA - rod puppet (80 cm/ 300 g) with moving head, mouth and hands, a parody of famous Russian pop singer Alla Pugacheva in mid 80s. The puppet is operated by one puppeteer. First presentation - March 4, 2000.